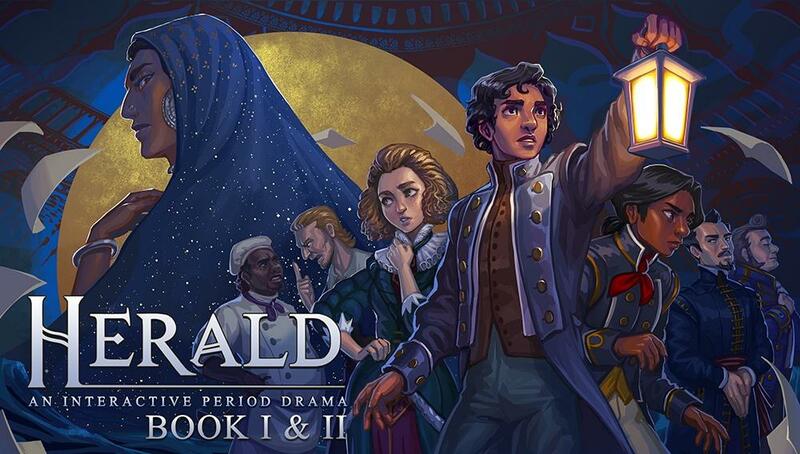 Herald is an interactive period drama set during the 19th century. It plays as a mix between an adventure game and a visual novel. You are Devan Rensburg, a steward of mixed-heritage working on board of the HLV Herald, a ship sailing for your land of birth, the Eastern Colonies. As steward it's your job to take care of all the passengers, be they rich or poor, important or downtrodden. Set during a time of great inequality and injustice, players are given the choice how to deal with various dilemmas resulting from 19th century colonialism. – A branching narrative that changes depending on how you choose to play. – A gripping tale about finding your identity in a world divided by race, class and religion. – A beautiful hand-painted art style mixing 2D animated portraits with 3D environments. – A world inspired by historical events that takes place in the final days of the Age of Sail. – A 19th century trading ship full of secrets and mysteries to uncover while you explore. – An interactive period drama with a heavy emphasis on character development. – A story within a story that switches between Devan's present and his past.